Bass players don’t get much more special than Donald “Duck” Dunn. As a session musician for Stax Records, Dunn brought the bottom end on scores of legendary tracks, including gems like Otis Redding’s “Respect”, Sam & Dave’s “Hold On, I’m Comin'”, and Albert King’s “Born Under a Bad Sign”. He was also the bassist in a little instrumental combo called Booker T and the MGs, whose “Green Onions” is one of the coolest tunes ever recorded. 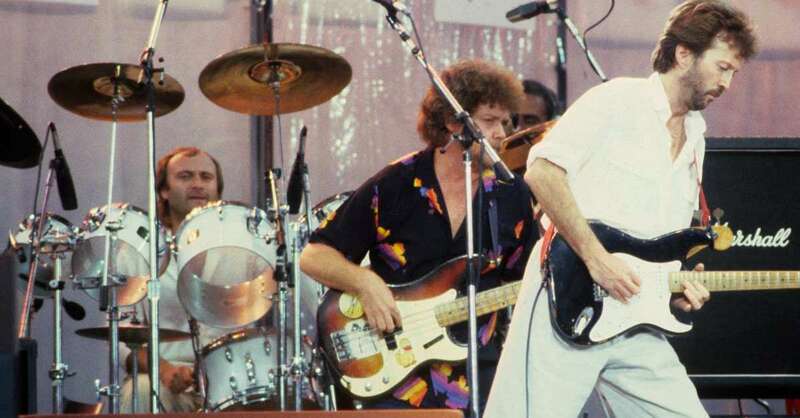 When I got the chance to chat with Dunn–on June 4, 1985–he was touring in Eric Clapton’s band, so not surprisingly we talked about Slowhand a bit. Considering that Dunn had spent many years in the company of MGs guitar legend Steve Cropper, I was a little surprised when he told me that Clapton was the best all-around guitarist he ever worked with. But not too surprised, I guess. Later on in the conversation I asked how Clapton–who’d been in rehab three years earlier–was doing in his personal life. Dunn seemed overjoyed with how much his guitar-hero buddy was enjoying life.